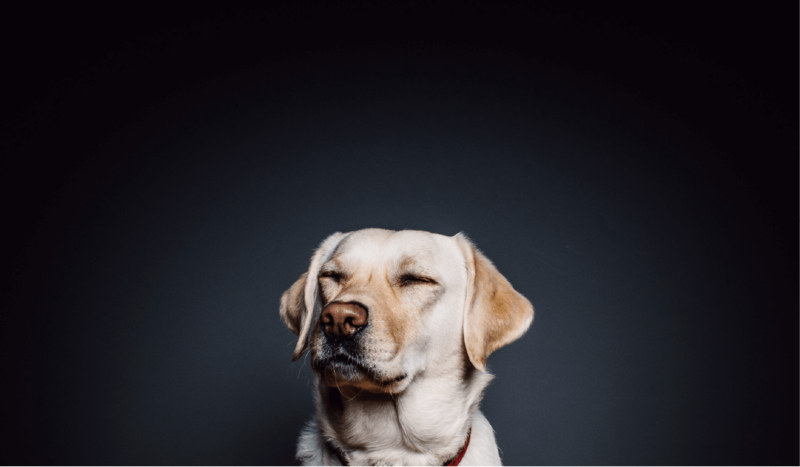 Don’t want to be without your dog? 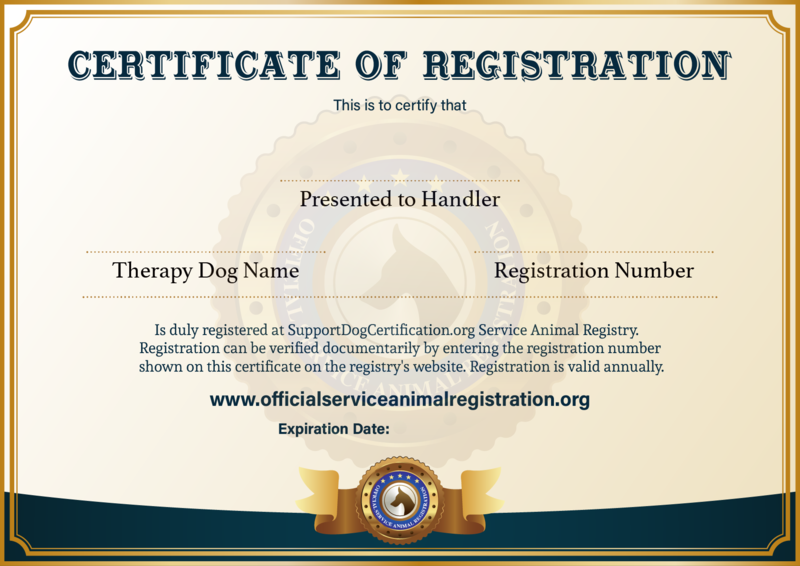 Get your well-behaved dog a Certificate so it can be with you wherever you go! 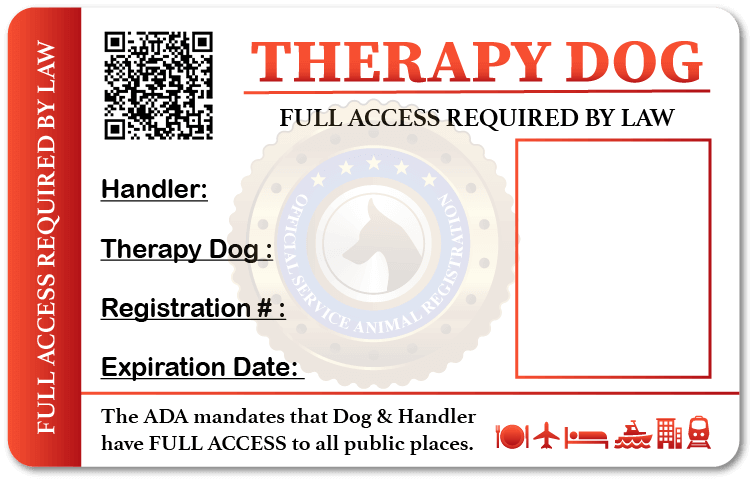 Don’t want to leave your dog alone? Get your Dog a Certificate so he can be with you wherever you go! 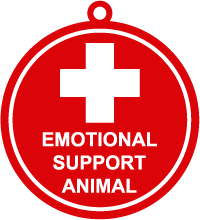 Recognized in All 50 States, Canada, E.U. 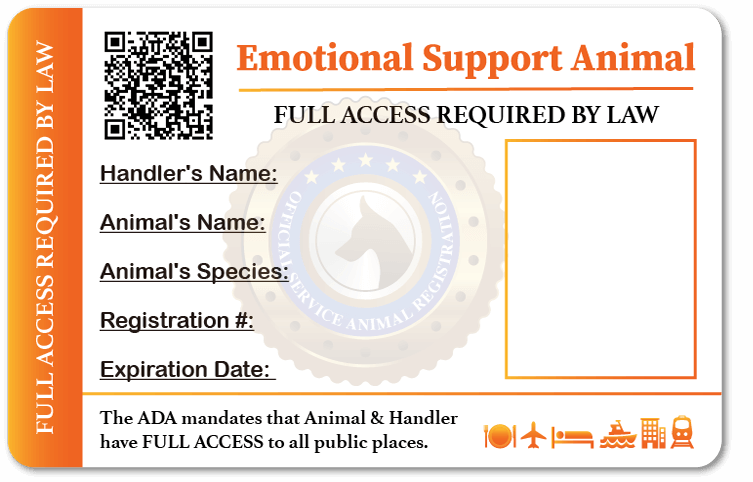 Please provide the ESA Animal’s name, the name of the handler, address and a photo of the ESA Animal (note: the information entered below must be exactly as you want them to appear on the ID card). 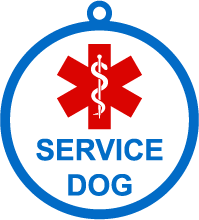 Support Dog Certification does not certify or authorize anyone to use a Service Animal — nor is certification required by law. 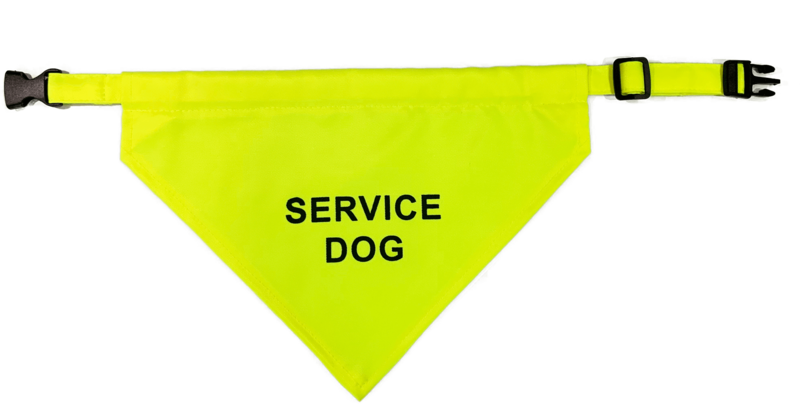 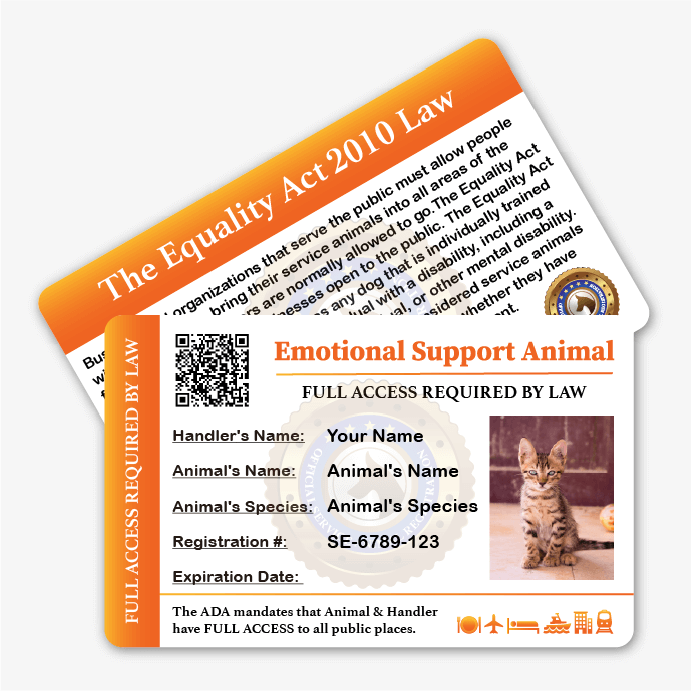 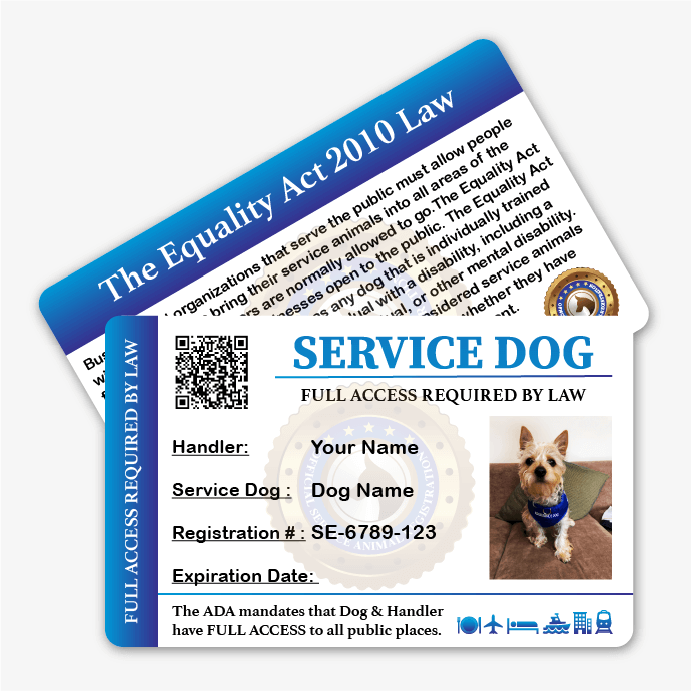 The privilege to use a Service or Assistance Animal is granted, under the law, by the Americans with Disabilities Act (ADA) and local governments. 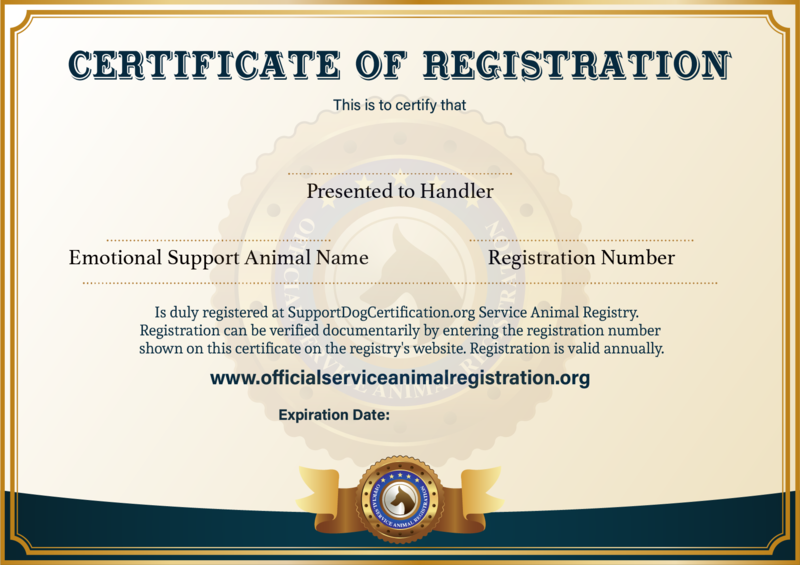 We do not endorse the fraudulent use of our certifications and registration.